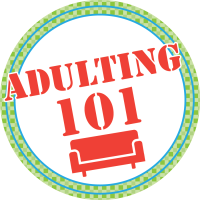 Adulting 101 is just for teens! Learn time management, household skills and how to take care of yourself before you are on your own. We'll have discussion, time to set goals and tips to take with you. The road to adulthood is a little bumpy--we'll make it easier! This month, get some tips about applying for college. Look at an application and talk about what you'll need to be ready to complete it. You'll even explore what schools might be right for you!